Drainage done right, outside and inside the foundation. Eliminate wet basement problems by installing EZflow gravel-free exterior drains outside the foundation. The 10-ft.-long EZflow pipe comes already encased in lightweight PolyRock aggregate and filter fabric. Inside the basement, CactusBoard drainage molding is installed against the footing and wall prior to pouring the floor. It creates a hidden drainage channel that handles wall and floor edge leakage. That’s a phonecall no builder wants to receive. Callbacks cost you money, while also hurting the good reputation you’re aiming to build with every new construction project. A wet basement callback is one of the worst calls to receive because of how extensive and expensive the repair work can be. So why not avoid this nightmare entirely by using proven products that are easy and inexpensive to install during the foundation construction process? Damp proofing or waterproofing treatments applied to the exterior of foundation walls provide an important first line of defense against water intrusion. But effective drainage is also essential to reduce hydrostatic pressure that can drive water through small cracks and gaps in the foundation walls. A truly failsafe basement waterproofing system should have exterior footing drains, as well as an interior French drain system. 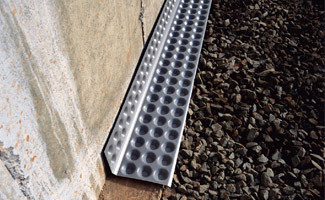 The EZflow exterior footing drain pipe is a unique product that outperforms conventional drainage systems, but is faster and easer to install. 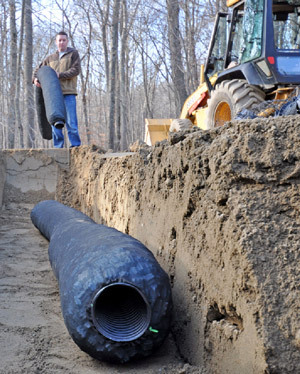 Unlike conventional plastic drain pipe drainage systems that must be surrounded with gravel and filter fabric to work effectively, EZflow drain pipe comes with its own lightweight PolyRock™ gravel, surrounded by a filter fabric jacket. This integrated drainage system can simply be placed in a sloping trench around the house foundation and then covered with permeable soil. The time, difficulty and mess involved in gravel backfill is totally eliminated! Sold in 10-ft. lengths, EZflow is lightweight and easy to handle. With EZflow, you get a superior drainage system that installs in half the time required for old-fashioned exterior drain lines. An interior drainage system is an important part of the failsafe approach to basement waterproofing; preventing wall and floor-edge leakage from reaching the basement floor. This is exactly what our CactusBoard drainage molding is designed to do. 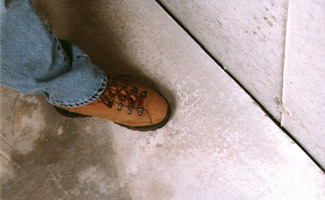 Available in two styles, the CactusBoard molding is installed on top of the footing and against the interior wall surface just prior to pouring the basement’s concrete floor. Any water that leaks through foundation walls will be captured by the CactusBoard and remain out of sight as it drains to a sump pump or daylight drain. CactusBoard is inexpensive, easy to install, and –here’s the best news—it comes with a 20-year dry basement warranty. With CactusBoard you can ensure dry basements for all of your clients and get rid of those wet basement callbacks for good!